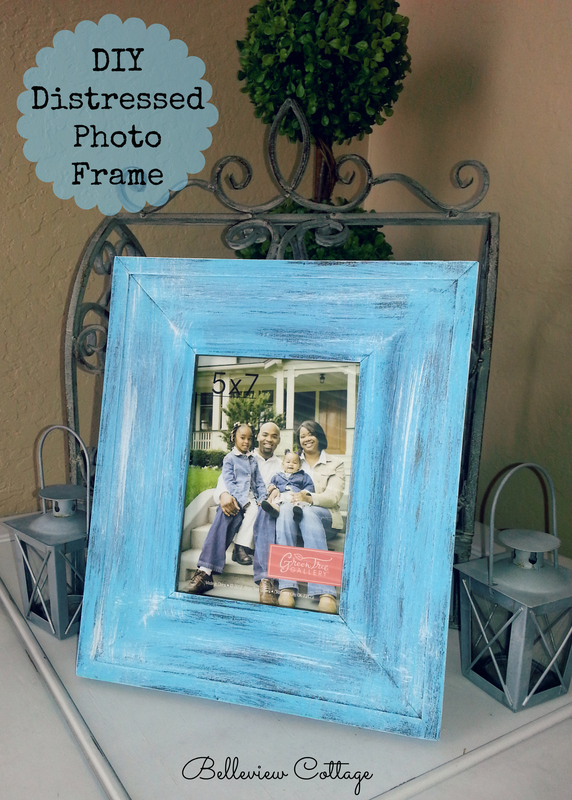 Today’s fun project was this distressed photo frame. In fact, I made two of them. I found the picture frames on clearance for $3.60 (!) at Hobby Lobby. The before pic doesn’t show it very well, but the frames had an ugly greenish tint. So I bought them for a steal, with the intention of painting them. CONFESSION: This was my first time painting anything for the home. So, if I can do it, you definitely can. It was easier than I thought it would be! 1. Lay down newspaper. Remove the glass and inserts from the frame, and place the wood frame on the newspaper. 2. Squirt a small amount of your desired base color paint onto the newspaper. I used Americana “Indian Turquoise” acrylic paint from Hobby Lobby. 3. Use a stiff-bristle paint brush (mine was a cheap one from Ikea). Dip it in the paint, and then dab your brush on the newspaper so there isn’t a lot of paint on the brush. Lightly brush across the wooden frame, leaving a very light and streaky coat of paint. You want some of the original color of the wood to show through. Brush in the same direction as the grain of the wood. 4. Paint the entire top of the frame, and the sides. Let it dry for a few minutes. If necessary, repeat step 3 until you get your desired look, and again, let the paint dry for a few minutes. 5. Wash your paint brush. Then apply a highlight/contrast color. I used Americana “Warm White” acrylic paint from Hobby Lobby. Again, squirt a small amount of paint onto the newspaper. Very lightly dip your paintbrush edges into the paint. Dab the brush onto the newspaper a lot, because you only want a tiny amount of paint on your brush. 6. Lightly brush your highlight color on top of the base color. It should appear as very light streaks. 7. Let the frame dry for an hour (or more if you applied a thick layer of paint), and then repeat on the back of your frame, if desired. 8. 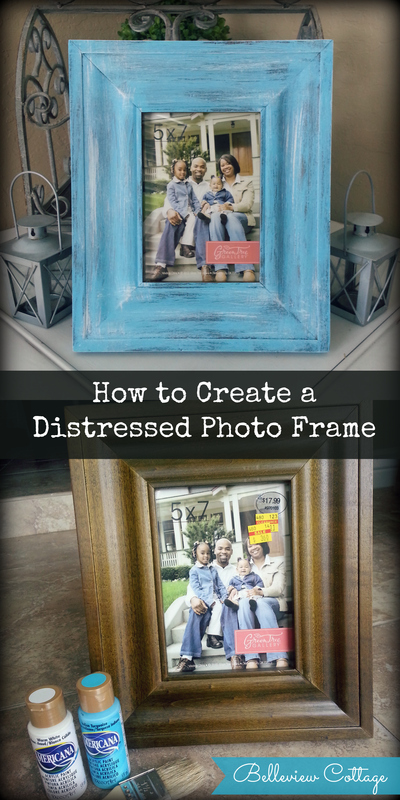 If you want to make your frame even more distressed, use sand paper or a metal file to rub paint off the edges in a few areas. I didn’t do this, but I am thinking about it! Have fun with this one! Send me pics of your finished product.